Adobe Photoshop Tutorials is a software for mastering graphic which is most uses and popular in the world. From simple design or editing you can make digital/2D/3D images by this software. You can setup artistic design effects and eye catching backgrounds by the help of this software. All professional or unprofessional photographers or designers first choose Adobe Photoshop CS. In this article I will describe how you will make blurry backgrounds on a photos or images. For start this work first you need to open Adobe Photoshop. Click File – click New and open a work place as you need. Then open up an image in Adobe Photoshop Tutorials. Any photography is going to do, nevertheless a single by having an apparent target make a difference is best. This image your first object that means backgrounds layer. Go to layers then right click on background layer and click Duplicate Layer. Give name “Blur” and click OK.
You will work on Blur layer. Go to Filter – Blur – Gaussian Blur. Select radius of any pixel for first your test work and click OK. You can do it more time for your expected results. Now you will see the changes, your selected image is now blurry but not a tension your original image is ok. For see click Background Layer. Go to Erase Tools and select Brush, choose accurate sized brush with feathered for erase the parts of images that you wants to focus. 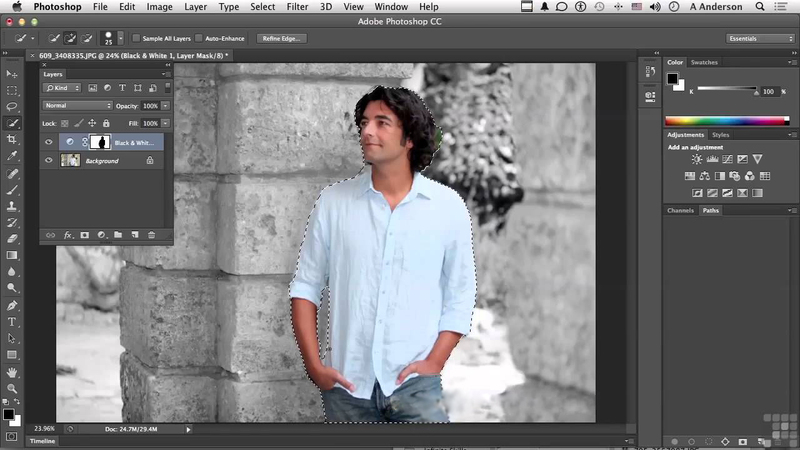 Choose Opacity from Layers and reduce total opacity for perfect images. And there is end this process. After end if you see the Blurry is more than your expectation then you can do that process again. You can delete your previous “Blur” layer and make again duplicate layer. In Filter without Blur there are many options you will see. Such as Artistic, Brush Stokes, Noise, Sharpen, and many. All of tools you will see related many tools. You can practice with every tools and create unexpected effects that will give you more satisfaction and inspiration, cause you are a designer. For more help you can search web for Adobe Photoshop Tutorials and videos. It will make you as a expert designer. You always found some creative and exceptional graphic idea to Color Experts International (CEI). It’s a U.S based graphic designing outsourcing firm. We give free trial for our creative works.